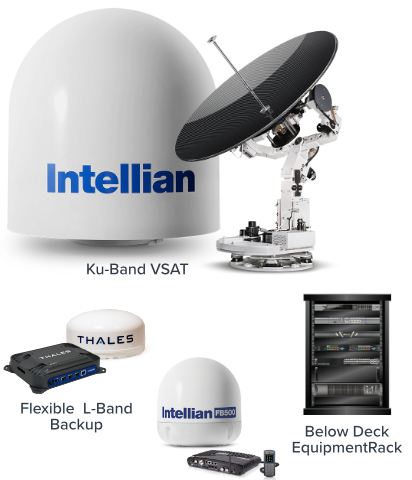 Fully managed Ku-Band VSAT Service with broad range of bandwidth options. Optional L-Band backup is available to ensure coverage at all times using Iridium Certus or Inmarsat FleetBroadband. Reliable Ku hardware from Intellian with the option to rent or purchase outright as required. Our rack also includes an iDirect satellite router.